Education Minister Bennett demands terrorists be eliminated, says most of those sending incendiary kites, balloons, into Israel are adults. 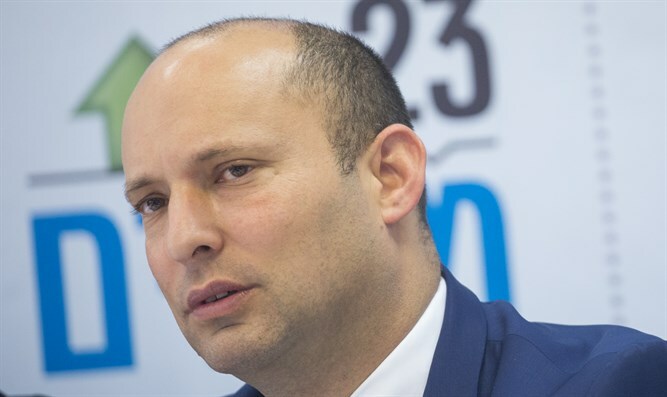 Education Minister Naftali Bennett (Jewish Home) responded on Thursday morning to Defense Minister Avigdor Liberman's statement that Hamas uses children to send incendiary kites and balloons into Israel. Earlier on Thursday, Liberman said that working "under the [directives] of Hamas," terrorists "are sending the kites or balloons from within homes and apartments, mostly by using children." "Enough with the excuses and the stories that we're only talking about children," Bennett said. "It's not true. Most of those sending these kites and burning balloons are adult terrorists." "If we would have killed all those terrorists the first time they had sent incendiary balloons [into Israel], the fire terror would have ended immediately, like the terror on the border. "We cannot wait for a disaster. We must eliminate every terrorist who attempts to murder us."